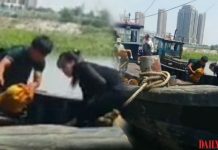 A new calendar featuring North Korean movie stars published by the Shining Star Publishing House and Korean Film Import & Export Corporation is proving popular in North Korea’s markets. 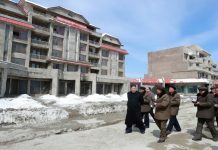 Daily NK obtained six 2019 North Korean calendars currently available in the country’s markets. 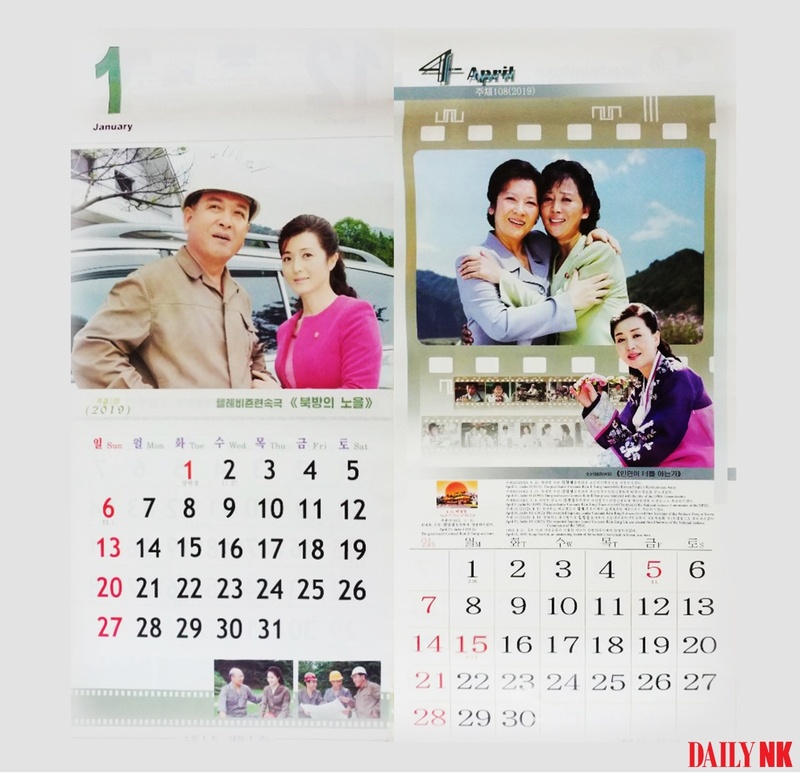 The calendars obtained by Daily NK include photos of the Arirang Festival, movie stars, scenes of nature, food and flowers. The calendar with the pictures of movie stars is slightly different to the others, with the dates placed at the top of each page. In the past, calendars were focused on promoting scenes within a particular movie; but this year’s release has pictures of both the movie scenes at the top and pictures of two actors from the scenes at the bottom of the pages. “It’s no longer enough to just talk about improvements. The calendars need to be made so they sell in the markets. The state wants every household to have a calendar hanging on the wall,” she continued. 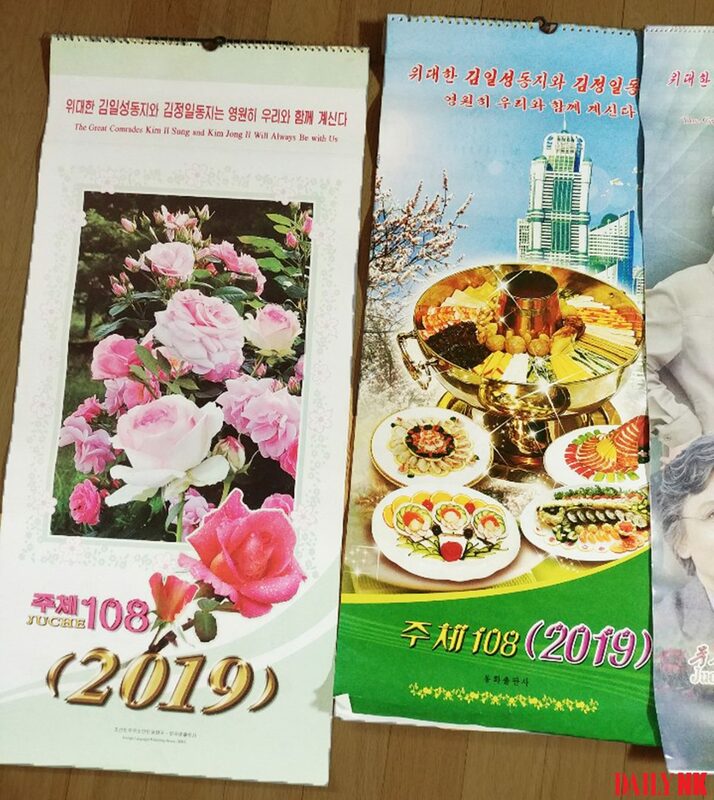 Food calendars are also popular in North Korea. The Ponghwa Publishing House’s food calendar features a balanced selection of seafood, meat, and vegetable dishes, including “Rice and Condiments Wrapped in Cabbage,” “Cold Steamed Chicken,” “Vinegared Seafood,” and “Clam and Crab Chilled Vegetables.” Flavored glutinous rice mixed with honey, dates, and sometimes chestnuts made and eaten during the 15th day of the Lunar New Year is enjoyed by North Koreans, and the calendar includes enticing pictures of the food to encourage purchases. The calendar has scenes of nature including images of Mt. Paektu, Mt. Chilbo, Mt. 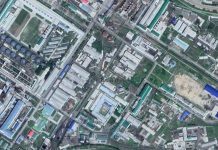 Myohyang, and Mt. Kumgang in each of the four seasons. The calendar with flowers includes the Manbok Flower, Kimjongilia, and Gladiolus. This year’s calendars refer to January 1 as the “solar calendar new year,” while February 5 is referred to as “The New Year Holiday,” instead of “lunar new year”, as in the past. The Arirang Festival calendar published by the Foreign Literature Publishing House only shows the solar calendar new year and does not mark the lunar new year, Chuseok, or any other North Korean public holiday.